DLC: Can games change people's minds? At the Game Developers Conference, I spoke with a few developers whose games were both unapologetic about their politics, and successful to boot. It's something that's still fairly uncommon in the industry, where publishers prefer to have games that "grapple" with delicate social issues in the same way a toddler grapples with your car keys for a few seconds before getting distracted by the next shiny trinket. That made me curious as to whether or not these games and their statements were actually convincing anyone of anything, or just reinforcing the beliefs of a specific audience. Or to put it another way, are games like this a good way for actually changing minds and bringing about social change, or is it simply a more effective way to market your title to a target demographic in a way that will cause it to stand out from the crowd? 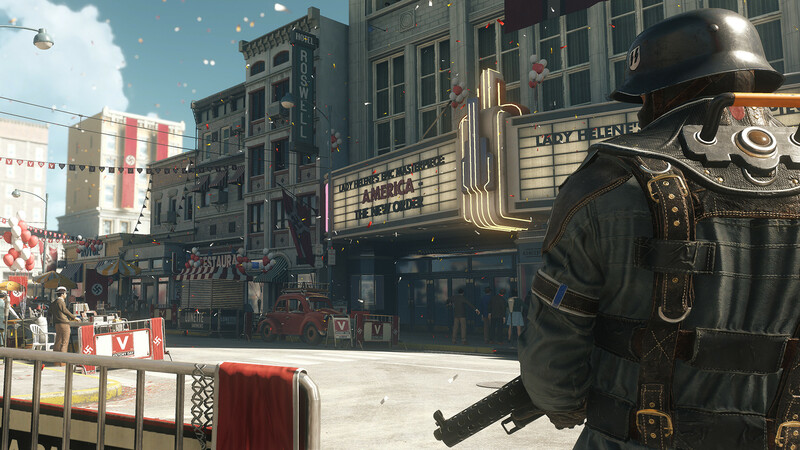 When I spoke with Wolfenstein: The New Colossus creative director Jens Matthies, he said he had yet to hear from any players that the bluntly anti-Nazi game had changed their perspective at all, but admitted he doesn't keep a large social media presence, adding "I don't really read what people say about the game." "I think that people in general don't like changing their minds about anything, and that's regardless of your political preference, because in some way that feels like invalidating yourself and your own intelligence," Matthies said. "If I'm committed to a position, that's who I am. It's a part of me, and the thought process that led me there seems sound to me. So what I think is the case now is there are lots of opportunities to affirm your existing beliefs. "And maybe that was always the case. I don't know. I don't know if the internet and the way we communicate now has aggravated or reduced the problem. It's incredibly hard to say, because I think a lot of self-reinforcement has always happened in any culture or any community. There are lots of opportunities to guide your online presence and general belief system in a way that doesn't expose it to questioning." That's not to say games aren't well suited to challenging people's beliefs and assumptions. As difficult a task as that may be, Matthies said there's loads of potential in games' ability to put people in the middle of a situation. He paused there for a moment, before continuing his line of thinking on a slight tangent. "This is drifting quite far outside of game development, but I have this idea that I think people are at maximum 60% right," Matthies said. "The wisest person on the planet is like 60% right, and if you don't care so much about anything, maybe you're 25% right. So I'm a very firm believer in a plurality of opinions and getting exposed to that. Trying to be humble in front of the fact that you may be wrong, trying to navigate based on credible information that you receive, and having the ability to question that and re-evaluate. But at the same time, I realize that's an incredibly hard project. It's not something that comes to us naturally in any way, I think." 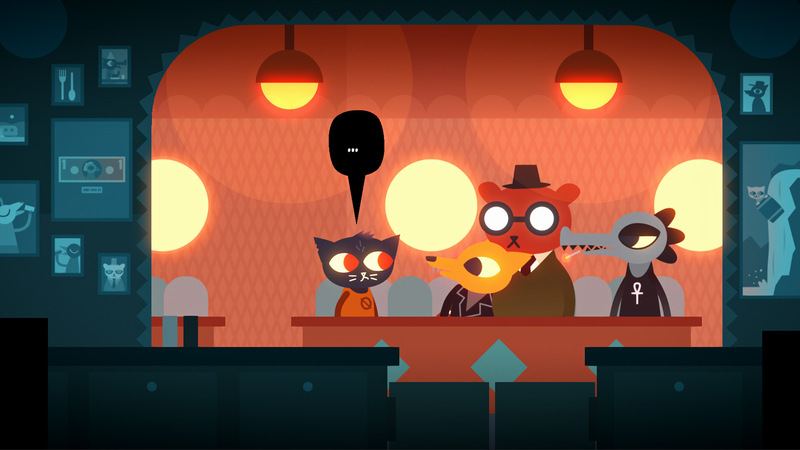 "Your game made me a socialist"
The next day, I spoke with Scott Benson and Bethany Hockenberry, two-thirds of the team behind Night in the Woods. The IGF and BAFTA award-winning narrative exploration game follows college dropout Mae as she hangs out with old friends who have (and haven't) grown up in a variety of ways, all against the backdrop of the economically stagnant and struggling Rust Belt town of Possum Springs. Benson and Hockenberry are vocally critical of unchecked capitalism and in favor of organized labor, and the game reflects that. Unlike Matthies, they are more active on social media (Benson particularly). And unlike Matthies, they have heard plenty of feedback from people swayed by their work. "Literally an hour ago, someone came up and said, 'Thanks, your game made me a socialist,'" Benson said. "Our game wasn't meant to be evangelizing or anything, but I think enough people saw their own experience, and just didn't have words for it." He continued, "When we talked about labor, it was just because that's what was in our face. All the things with the politics in the game... We started writing this in 2013 and all the basic ideas were there. It was just things we saw, people we knew and politics in our faces. And when it came out in 2017, we just happened to release at a time when a lot of people were suddenly talking about that stuff on a national level." Hockenberry said the game's story arc about Mae's dad Stan and his work situation gets brought up frequently. Stan previously worked a number of trades and was the family's sole provider, but as Possum Springs' economy dried up, he found himself working inconsistent hours in the meat section of a big-box grocery store to help the family make ends meet. "Especially with Mae's dad and his work situation, people were like, 'I get this now. I understand why that happens now because I had not really thought about it,'" she said. "Sometimes you just need a name for it," Benson stressed. "I think that's so much of what this stuff is. People who are actual, professional organizers, that's most of what this is. You talk to people and they go, 'Oh, it's not just me? It's us. Oh, half the people in this room? And now we're a thing together.' That's how unions start, that's how basically any sort of change happens. You get enough people together who recognize they share a struggle together, and I think maybe in the game we were halfway decent at depicting struggles a lot of people have." A few months later, I interviewed Keita Takahashi at E3, and in between talk of his first game Katamari Damacy and his latest Wattam, I asked him for his thoughts on the ability of games to have meaning and convey messages. "I need a reason to make a game," he said. "Not like, 'I need money.' That's not my reason. I need something else… For Katamari, this is a hidden story, but I was wondering why there was so much stuff in the world, like mass consumption. I really hate that. Our lives should be more simple. So I put so many things in the game so you can roll them up and put them into the sky. Bye! But that's kind of an extreme thought, an extreme idea, so I just sugar-coated it with a stupid story, a stupid character and nice music." Takahashi's hidden story wasn't completely lost on his audience, as the developer said "a few people" have told him in the years since that Katamari changed the way they thought about materialism and mass consumption. At the same time, it sounded like the meaning Takahashi puts into his games is more for himself than for the purpose of changing players' minds. "I don't want to push my thoughts to the player because that's so annoying," Takahashi said. "I'm not a teacher."